Azizi Life is a non-profit based in Africa that advocates for rural Rwandans and seeks social and economic growth for their communities. I had the opportunity to create a brand from the ground up that communicated the heart behind their mission and encouraged engagement with their customers and partners. 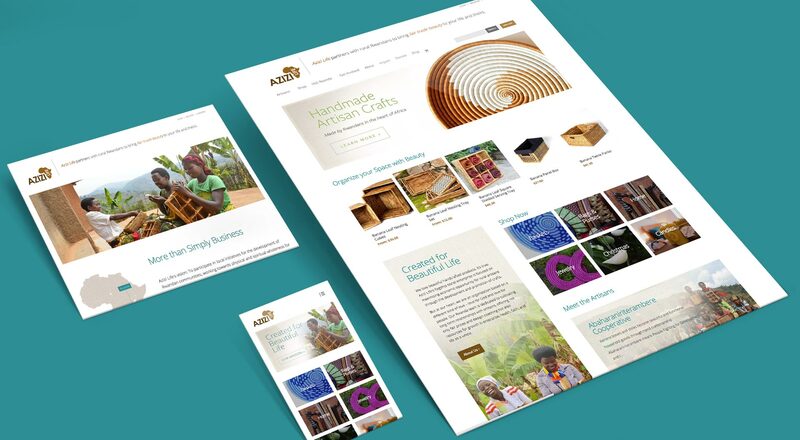 In addition to a full identity system and collateral work, I developed and designed an ecommerce website that prominently displayed the beauty of the products, and built a lasting connection between artisans and the customers who supported them.